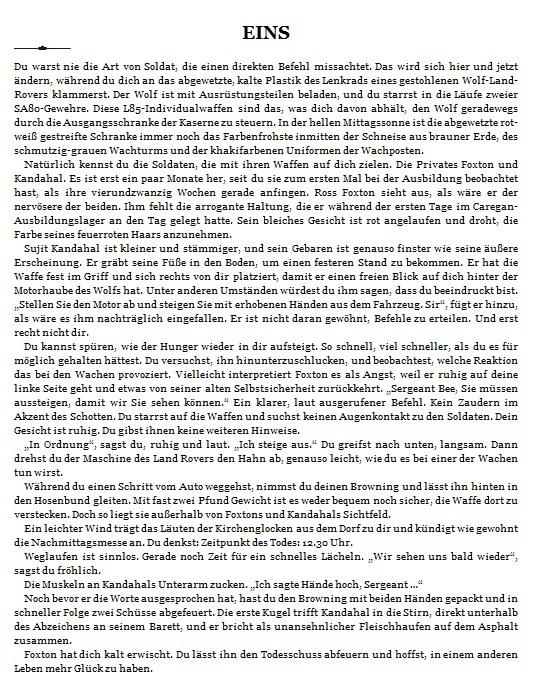 My first Torchwood novel, Another Life, was published in German this year. It’s available in hardback and in Kindle format. To accompany its publication, I also did an interview with my translator, Susanne Döpke. As part of a special Doctor Who day recently, the interview was published on a German sf portal here. And while Google Translate will do you a nice translation of that back into English, I thought you may also like to see my original replies to Susanne. What I like about this interview is that, as a translator, Susanne was interested in some of the mechanics of writing. Can you tell us a bit about yourself for the introduction part of this interview? Over the past decade and and half, I have written dozens of things that tie in to TV series – novels, talking books, audio plays, short stories, even a comic strip. They almost invariably relate to Torchwood or Doctor Who. That’s a TV series I have watched and enjoyed since I was a child. You have been writing a lot of novels based on TV series – what is the difference in writing for established characters as opposed to something completely fictional? Usually when you write for established characters, you know that they cannot be completely changed by the end of your story. Mostly that’s because the TV series defines who they are, and you’re not supposed to contradict that. You must “return” them to their starting point, because the books are bought by tens of thousands of people whereas the TV series is seen by millions. As a contrast, Ian Rankin say of his series of novels: “To fully understand and appreciate the growth (and regression) of Rebus (and all the other recurring characters), it is interesting to read the series in the order the books were written.” Agatha Christie and Arthur Conan Doyle could have their heroes die when they chose to. But with a TV tie-in, you know your principal cast will survive, and their characters will be the same at the end of your story. That sounds like a problem for an author, because you really want your heroes and heroines to develop, to be changed by what they experience in your novel. They are the people in the book with whom the reader will identify. If those characters learn nothing, and are unmoved by their experience, the reader will not feel engaged by the story. One way around that is to create some new characters with whom the reader can identify – but that can’t be at the expense of the regular characters, because those are the reason that the readers bought your book in the first place. And fortunately, another way around it is that the characters in Torchwood develop, change, even die sometimes on TV. So you can weave some threads in your novel to suggest that the events of your novel contribute to that. There are several actions and events in Another Life like that. Fans of the series recognise it for what it is, and more casual readers just think it’s part of the novel. 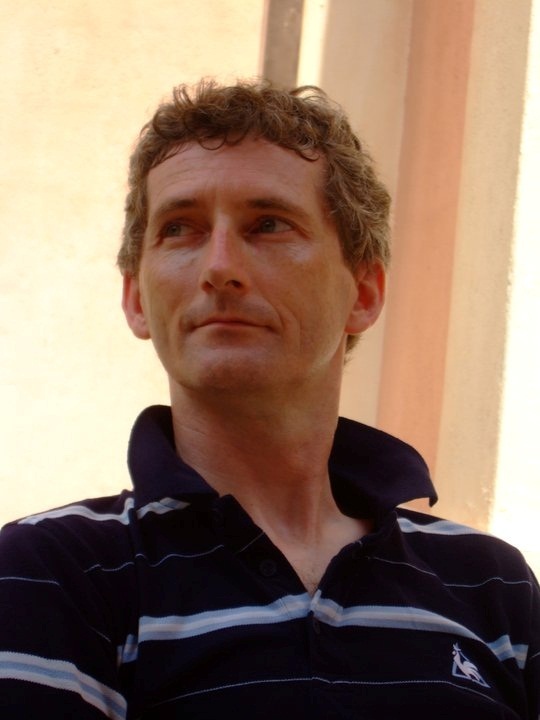 How did you get involved with writing novels for Doctor Who and Torchwood? In 1989, the BBC stopped making Doctor Who for television. Virgin Books began to publish some original Doctor Who novels. Several of my friends wrote for that series, and I also did some short stories for Virgin. When the BBC decided to make a one-off Doctor Who TV Movie in 1996, they also decided to start publishing the books under their own imprint. So I suggested an idea for a novel, and they commissioned it – and after that, they invited me to write more. That was a particularly interesting time to write TV tie-in novels. Because the BBC was making no new Doctor Who for television, the people writing the books were able to continue developing the story of Doctor Who without worrying about contradicting the TV series. In that sense, the books were new Doctor Who for the thousands of dedicated fans who wanted fresh stories. That changed in 2005 when the BBC started making new Doctor Who for TV, and they began to commission a different style of tie-in novel. Then Torchwood was commissioned the following year as an independent programme of its own, using the character of Captain Jack who had first appeared in Doctor Who. So BBC Books had decided from the outset that they would commission tie-in novels to accompany the new series. I was one of the three authors they commissioned initially, because the publishers and production office thought our previous books were a good track record for the kind of thing they were looking for with these new titles. These new Torchwood books were aimed at an older audience, and were nearly twice as long as their Doctor Who counterparts. I think BBC Books must have liked Another Life, because I was the first person they asked to write a second Torchwood novel. You obviously need to do a lot of research – how did you prepare for writing Another Life? I was first approached about writing the novel in April 2006, and it was commissioned the following month. But the first TV series wasn’t broadcast until the end of October 2006. So a lot of my research was to learn about the series concept, the characters, the location, and what was happening in those first 13 episodes without ever having seen the show. The three novel authors met the script editor, Brian Minchin, who explained all that to us. Brian was terrific – so enthusiastic about the potential of the series, and keen to see the books were properly-researched and well-prepared. The authors also got to see concept artwork for the main set, and some of the props, because that was all still being built at that stage. You have probably rewatched Torchwood for writing the novel – is that another way of watching? For Another Life, there were no episodes to watch! I wrote the first draft before I’d seen a single broadcast episode. At a late stage, I did get a chance to view the opening episode at a special screening for the BBC productrion and publicity team. My novel was published just before the conclusion of Torchwood series 1’s original TV transmission. When I wrote my second novel, Pack Animals, that tied in with the second TV series. Things had changed for the characters by that stage, so I was able to read a lot of the series 2 scripts before I wrote my first draft, and even saw some of the episodes before I submitted the book. Did you get to go on set and, if so, how was that and who did you talk to? Yes, I went with the other authors to visit the studios in Cardiff, South Wales. The original plan, I think, was to get to a design briefing meeting in June, and subsequently to talk to producer Richard Stokes, his script team, the art department, and the lead publicist. But it wasn’t possible to arrange something at such short notice. The production team were quite understandably almost completely engrossed in the very complex work of creating 13 episodes of a brand new TV series. We were driven to the studios by a Brand Executive, Matt Nicholls, who gave us some background on various Cardiff locations. And one of the script editors, the marvellous Gary Russell, showed us around the main studio. We saw the sets for some of the regular cast, including the top-floor Victorian flat where Gwen and Rhys lived, and the Torchwood dungeons where they locked up the alien Weevil. There was a little set for Ianto’s Torchood reception area, too, with tourist brochures in neat piles and newspapers over the windows. But most exciting of all, we went on the Hub set. It was enormous, and built on two levels right next door to the Doctor Who TARDIS set. The lower level had the Hub’s basin area, full of water. That led up to a level where all the computer work stations stood beside the cog-wheel entrance. Then there was a walkway to the recessed autopsy area, a hexagonal tank with a barred window to one side. We went through Jack’s office with its curved desk and filing cabinets, and then into a small games area before reaching the glass screen doors of the armoury. From that, a spiral staircase led up to a small landing where we could see Ianto’s coffee machine, and from there into the conference room that dominated the upper level. Tha balcony around the main hub area had portholes out towards the Bay, and we were told that they would occasionally show fish swimming outside. I dutifully made notes of things that interested me, things I saw or heard about that gave some insights into the characters – the contents of a noticeboard, the fruit bowls on a desk, one of Rhys’s magazines with the front cover headline saying “get a six-pack stomach in six weeks”, a full-ashtray in Toshiko’s kitchen (she was originally going to be a chain-smoker who gave up after episode 7). You describe the alien ship very meticulously – do you do sketches of locations for writing? I’m terrible at drawing. I visualise things, and then write down descriptions in words. For the Torchwood main locations, I had the benefit of seeing them for real. When it’s a hospital or an army camp, I can see those for real or find photos of them. For purley invented things like the alien ship, I work out what I think it will look like so that I can organise the “action” of a scene convincingly. The location Cardiff itself plays a very important role in Another Life that obviously took a lot of effort – why was that so important to you? Long before the Water Tower became a tourist attraction for Torchwood fans, we three authors all stood on the flagstone in front of it and had our photo taken. So with all that in mind, I decided that I was going to make Cardiff one of my „characters“ in the novel, and transform it out of all recognition during the story. Like all the other regular characters, of course, it had to be returned to normal by the end of the book! Are you from Wales, or do you speak Welsh? No, I don’t speak any Welsh at all. Prior to this, the only time I had been to Wales was for family holidays. The novel features rain and rain and rain – is that a normal thing for Cardiff? It can be! The last time I took my family to Cardiff, it was very rainy indeed. But I’ve also been to Cardiff when the weather has been beautiful – blue skies and warm sun. In fact, that’s exactly how it was when I went there for my set visit. I knew I was writing a story where a storm would drown the city, and yet I was seeing it in bright sunshine! How did you come up with the storyline for Another Life? Unlike some other science fiction series, the regular characters in Torchwood don’t always get on together. There’s a rivalry and tension between them at various stages in series 1, that builds to the series climax where Owen confronts Jack. That was one starting point – Owen’s aspirations to take charge, to take the initiative and become like Jack. The other thing I liked was that throughout series 1 Jack, for his own reasons, has kept everyone but Gwen in the dark about his immortality. So what’s the worst thing that could happen to him? To be possessed by a creature that will not leave him until he dies. My original story outline was reviewed by Gary Russell and Executive Producer Russell T Davies, and after I got their feedback and approval I used that as the basis for writing the novel. I was interested in virtual reality environment like “Second Life” because people have used them for games and social interaction. But I also see that they have potential for things like training or data analysis through physical interaction. One of the things I learned early on about the fictional world of Torchwood was that they had lots of computing resources, so I thought they would be able to have lots of other realistic interactions in these “virtual presence” environments – and in a way that would make an interesting story. Reading the novel, I was at first puzzled then fascinated by the first person perspective of the new characters. You have probably been laughing up your sleeve while writing this – can you explain why you did that? It’s also the sort of thing you get in some online games. Obviously, in modern games you have the immediate point-of-view of the character you’re playing on-screen. In older, text-based online games, that’s how the narrative was explained: “You open the door to reveal a candle-lit bridge over a dark chasm. A huge grey-skinned troll confronts you.” So that echoed the “Second Reality” part of my story. Wasn’t it very hard to keep that up getting to the end of the story in the scene, when dialogue was involved? That’s the conventional way of handling point-of-view in a modern novel, and to get your reader to identify with your protagonist. So later in the novel, when a sequence featuring one of the regulars is narrated in second-person, that ratchets up the tension – we know what’s happened before to characters in those scenes. There aren’t many novels that use the second-person throughout. One of the best-known is Jay McInerney’s Bright Lights, Big City. That’s what I’m alluding to in the opening line of my novel. What is the special horror about this kind of taking over a person’s body? It’s the literal loss of self. But it’s not a zombie possession, where the original person is killed immediately. Their memories and experiences are all still there. We know from quite early on that the only thing you’ll be able to do when the alien releases you is this: you’ll be able to understand you’re about to die. What about the icky starfish creatures? What about them? It was one way of describing the alien lifecycle, and it gave me a visible monster for a couple of scenes. Plus I like the fact that each time they encounter one, it’s bigger than the last time. We are learning a little bit about Owen’s background. How do you create a character like Megan? There were some limits about what history I could invent for Owen. In part, that’s because the BBC prefers the key information to be explained in the TV series. And the other thing was that they had already started to decide what they might reveal about the main characters when they were planning series 2. I wanted a character who would already have Owen’s trust because of their prior history – otherwise, I’d have spent a lot of the novel with scenes to establish that trust between strangers. In series 1, Owen was more driven by his selfishness, so it was a quick way of exploiting that weakness in his character for the purposes of my story. Is there a favourite alien that you have in Torchwood? I like the Weevils. I didn’t want to write a “Weevil” story for my novel, but I did work in a scene that featured one. Is there a favourite alien device of yours? Is it possible for you to invent one for the sake of your story or do you keep a list of cool things? I devised the Bekaran scanner for Another Life. It’s nice to have some novelty in the book. I was able to use that device as part of the story, but also to allow some amusing interaction between Owen and Megan. I discussed it with my fellow authors for the first few novels, so they referenced it in theirs as well. But I was very pleased when Joe Lidster subsequently reused the scanner in his script for a Torchwood radio play. I think it’s in one of the audio books, too. My favourite gadget in the TV series is the metal glove from the very first episode. It looks like an old-fashioned armoured gauntlet, but it immediately defies expectations when they use it to bring someone back from the dead. Like any of the gadgets in the show, however, it’s not what it does that’s most important – it’s the aftermath of its use, and the effects on the characters. Who is your favourite character on Torchwood? I like them all, but I especially liked Owen. Not because he’s a particularly likeable person, however – in many ways, he’s quite unpleasant. But he’s a flawed hero, and that made him very interesting character to write for. What would you like this character to experience? Do you have anything in mind you’d like to share? It’s tricky to do anything for him now that he’s no longer in the series. I was able to find some interesting and different things for him to do in my second Torchwood novel, Pack Animals, that took into account the changes he experienced in series 2. If you could place one of the Doctor Who aliens in a Torchwood novel – what is your pick? Any ideas for possible crossovers of Doctor Who and Torchwood? They have quite different audiences, I think. 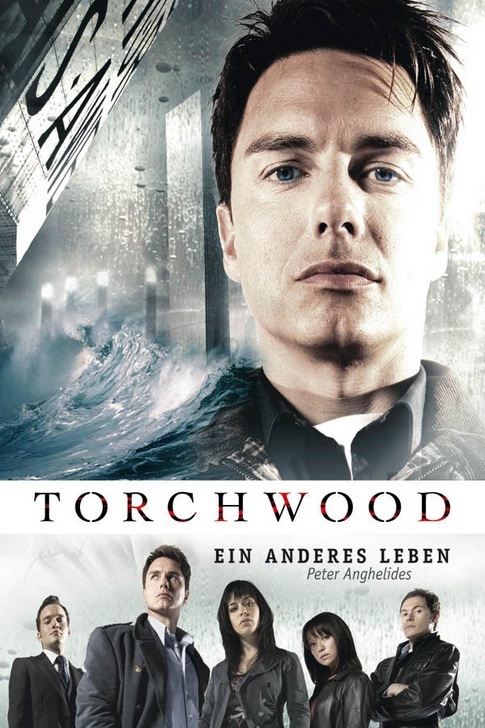 Torchwood is aimed much more clearly at an adult audience – particularly since the bleak but wonderful series 3 aired. Whereas Doctor Who is a programme designed for the whole family. Hearing that there’s going to be a new season of Torchwood with new characters – what is the first thing that comes to the author’s mind? Haha! The first thing that came to my mind was: “I wonder if they’re going to commission some tie-in novels?” If they do, I’ll let you know. Big Finish Productions have released the first trailer for their new Blake’s 7 audio series, including my story “Counterfeit”. Click the link to hear it!